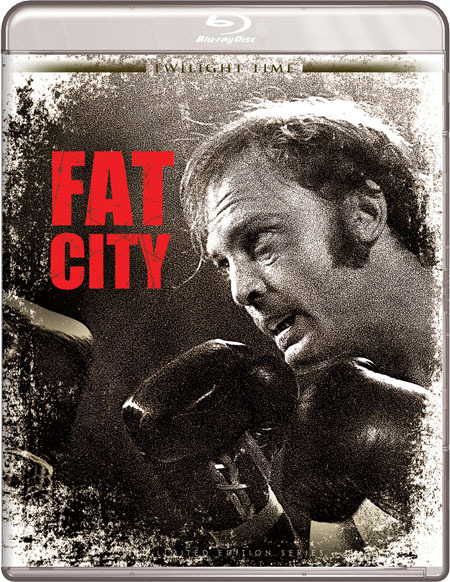 John LeMay at cinemaretro.com offers a look back at John Huston's film about boxing, Fat City. Fat City, released in 1972, was something of a “rebound” film for beloved director John Huston, whose previous two films had been flops. Based upon the 1969 novel by Leonard Gardner (who also wrote the screenplay), Fat City follows Stacy Keach as Billy Tully, a small time boxer who never made it big who is living in squalor. When Billy makes a rare return visit to the gym, he meets Ernie (Jeff Bridges, hot off of a Best Supporting Actor nomination for The Last Picture Show). Billy sees some potential in the teenager’s boxing ability and suggests he go see his old manager, Ruben (Nicholas Colasanto—the future “Coach” on Cheers). Ernie does as told, and soon finds himself under Ruben’s optimistic wing, while Billy’s life further deteriorates when he begins an affair with an alcoholic wreck named Oma (Susan Tyrell, who would herself secure a Best Supporting Actress nomination for this film). At the same time that Ernie begins his fighting career, he too runs into trouble when he impregnates his virginal girlfriend and soon leaves the world of boxing behind. When Ernie and Billy reunite on a work crew in the San Joaquin Valley, both become inspired to get back into the ring and return to Ruben. However, for those assuming Bridges and Keach inevitably come to blows in some sort of bloody boxing ring climax, they don’t. This is because Fat City isn’t so much a “boxing movie” as it is a character portrait of Kecah’s sad-sack loser who just can’t seem to help himself out of the bottle and other bad choices.